UPDATE: Apple overturns ban to remove iPads/iPhones from German online store | What Hi-Fi? Apple has this afternoon been granted a temporary suspension of a sales ban imposed on some products in Germany (see story below). An appeals court lifted the ban after Apple made a new licence paymant offer. A statement from Apple says: "All iPad and iPhone models will be back on sale through Apple's online store in Germany shortly. "Apple appealed this ruling because Motorola repeatedly refuses to license this patent to Apple on reasonable terms, despite having declared it an industry standard patent seven years ago." 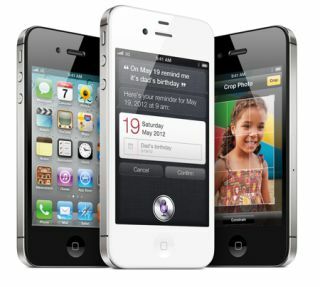 Apple has been forced to remove the iPad 3G, iPhone 3GS and iPhone 4 from its online store in Germany after losing a patent dispute to Motorola. The move, according to patent specialist FOSSpatents, stems from a ruling made in early December relating to GPRS technology patents held by Motorola. As with other rulings, it doesn't affect German bricks and mortar Apple store or authorized dealers, only the German Apple online store. It's the latest in a long line of patent battles over various mobile technologies that have affected sales across Europe of products from Apple and Samsung.